Redwood City Oktoberfest A huge tent transforms Courthouse Square into a German hall, complete with lots of brews on taps, all your favorite German food, and plenty of singing and dancing. 5-10pm, Friday; noon-4pm or 5-9pm, Saturday; noon-4pm, Sunday. Redwood City Oktoberfest Courthouse Square, Redwood City A huge tent transforms Courthouse Square into a German hall, complete with lots of brews on taps, all your favorite German food, and plenty of singing and dancing. 5-10pm, Friday; noon-4pm or 5-9pm, Saturday; noon-4pm, Sunday. Schroeder’s Oktoberfest Block Party Schroeder’s is the oldest German restaurant on the West Coast, so it only makes sense they’d close off the street to turn it into a beer garden. The party on September 18th starts at 3pm and ends at 8:30pm. It then moves inside for the next four Thursdays and five Fridays (Sept. 25th-26th, Oct. 2nd-3rd, Oct. 9th-10th, Oct. 16th-17th, Oct. 24th) with live music, classic Oktoberfest fare, and bier. Schroeder’s Oktoberfest Block Party Schroeder’s Restaurant Schroeder’s is the oldest German restaurant on the West Coast, so it only makes sense they’d close off the street to turn it into a beer garden. The party on September 18th starts at 3pm and ends at 8:30pm. It then moves inside for the next four Thursdays and five Fridays (Sept. 25th-26th, Oct. 2nd-3rd, Oct. 9th-10th, Oct. 16th-17th, Oct. 24th) with live music, classic Oktoberfest fare, and bier. Kinderfest at the Tourist Club Bummer. This annual event at The Tourist Club on the side of Mount Tam is already sold out, but check Craigslist and hope for a miracle, or head to its sister branch in Oakland on October 4th. Kinderfest at the Tourist Club Nature Friends Tourist Club, Marin Bummer. This annual event at The Tourist Club on the side of Mount Tam is already sold out, but check Craigslist and hope for a miracle, or head to its sister branch in Oakland on October 4th. Speisekammer Oktoberfest Tanzen! Bier! Grilled meat! Jumpy haus (for the kids)! Contest! Live music! And best of all, it’s from noon to 6pm FOUR Sundays (Sept. 20th, Sept. 27th, Oct. 4th, Oct. 11th) in a row! Speisekammer Oktoberfest Speisekammer, Alameda Tanzen! Bier! Grilled meat! Jumpy haus (for the kids)! Contest! Live music! And best of all, it’s from noon to 6pm FOUR Sundays (Sept. 20th, Sept. 27th, Oct. 4th, Oct. 11th) in a row! Oktoberfest By the Bay With more than 110,000sqft of space, this is probably the biggest Oktoberfest of ‘em all. Which means it will have even more polka music, more German food, and more beer. Food is between $3 and $12 and beer and wine are $6 a pop. Oktoberfest By the Bay Pier 48 With more than 110,000sqft of space, this is probably the biggest Oktoberfest of ‘em all. Which means it will have even more polka music, more German food, and more beer. Food is between $3 and $12 and beer and wine are $6 a pop. 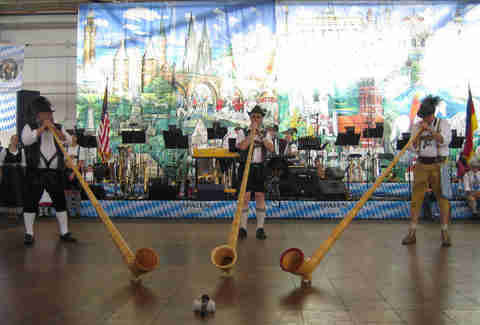 Tam Valley Oktoberfest From 3-9pm there will be authentic German music, regional German beer, and free rides for kids. Tam Valley Oktoberfest Tam Valley Community Center, Mill Valley From 3-9pm there will be authentic German music, regional German beer, and free rides for kids. Oktoberfest at Jack Rose Libation House They’ll have a live German band, a quartet of Hofbrau German beers on tap, sausages, pretzels, and more in their picturesque Los Gatos beer garden from 4-9pm. 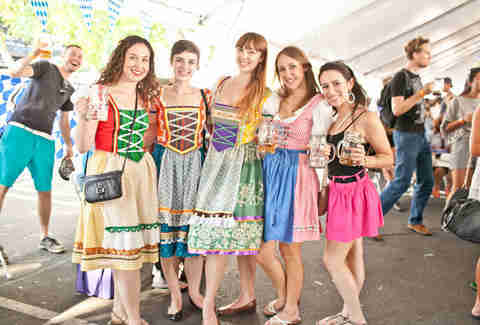 Oktoberfest at Jack Rose Libation House Jack Rose Libation House, Los Gatos They’ll have a live German band, a quartet of Hofbrau German beers on tap, sausages, pretzels, and more in their picturesque Los Gatos beer garden from 4-9pm. 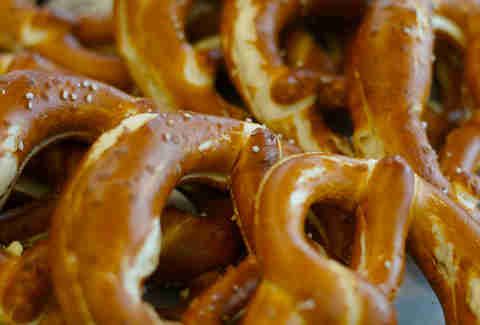 Vacaville Oktoberfest Entrance is free; you’ll just have to fork over for the brats and pretzels. Vacaville Oktoberfest Town Square Plaza, Vacaville Entrance is free; you’ll just have to fork over for the brats and pretzels. Sharktoberfest Nightlife October is when the great whites are returning to the Northern California coast. Pair that with beer -- a beverage that makes you forget to be afraid of that fact -- and you get Sharktoberfest, an adults-only party where you can drink while learning a little more about Jaws. Sharktoberfest Nightlife California Academy of Sciences October is when the great whites are returning to the Northern California coast. Pair that with beer -- a beverage that makes you forget to be afraid of that fact -- and you get Sharktoberfest, an adults-only party where you can drink while learning a little more about Jaws. GACC Oktoberfest This fest is legit because it’s hosted by the German American Chamber of Commerce. It happens from 5-10pm and there are two types of tickets: the Schmankerl ticket gets you admission, a food plate, a 1L beer, and a mug to keep, while a Bier ticket gets you all of that minus the food. GACC Oktoberfest Observation Post, Presidio This fest is legit because it’s hosted by the German American Chamber of Commerce. It happens from 5-10pm and there are two types of tickets: the Schmankerl ticket gets you admission, a food plate, a 1L beer, and a mug to keep, while a Bier ticket gets you all of that minus the food. Oaktoberfest A family-friendly Oktoberfest with lots of live (not German) music, a traditional biergarten with craft beer, and a root beer biergarten for the kiddos, because one is really never too young to appreciate a good space dedicated to drinking. Oaktoberfest MacArthur Blvd at Fruitvale Ave, Oakland A family-friendly Oktoberfest with lots of live (not German) music, a traditional biergarten with craft beer, and a root beer biergarten for the kiddos, because one is really never too young to appreciate a good space dedicated to drinking. 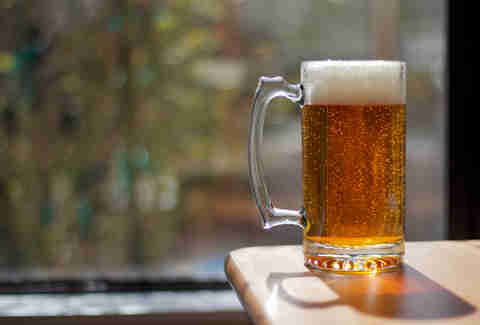 Marinwood’s Fall Brewfest More than 10 breweries, live music, and food trucks from noon to 5pm. It’s 21 and over, but there’s childcare available ($10/kid). A $13.65 ticket gets you eight tastings and a commemorative glass. Marinwood’s Fall Brewfest Marinwood Park, San Rafael More than 10 breweries, live music, and food trucks from noon to 5pm. It’s 21 and over, but there’s childcare available ($10/kid). 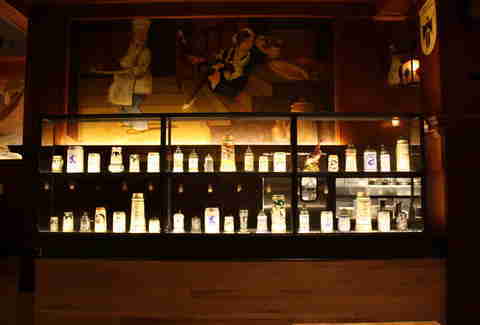 A $13.65 ticket gets you eight tastings and a commemorative glass. Mountain View Oktoberfest Expect lots of German music and a 7,000sqft tent with beers from Franziskaner, Spaten, Stiegl, and more. There will also be food from Teske’s Germania Restaurant and jumpy houses and face painting for the kiddos. 11am to 7pm both days. Mountain View Oktoberfest Parking lot at the intersection of Dana and Bryant Streets, Mountain View Expect lots of German music and a 7,000sqft tent with beers from Franziskaner, Spaten, Stiegl, and more. There will also be food from Teske’s Germania Restaurant and jumpy houses and face painting for the kiddos. 11am to 7pm both days. Oakland Nature Friends Oktoberfest The Oakland Nature Friends only open their private clubhouse to the public four times a year, which means this one will sell out. 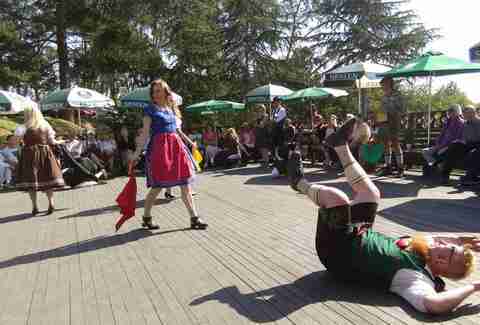 Enjoy authentic dancers, German beer and wine, and traditional food like spaetzle and schweinebraten. Oakland Nature Friends Oktoberfest Oakland Nature Friends Clubhouse, Oakland The Oakland Nature Friends only open their private clubhouse to the public four times a year, which means this one will sell out. 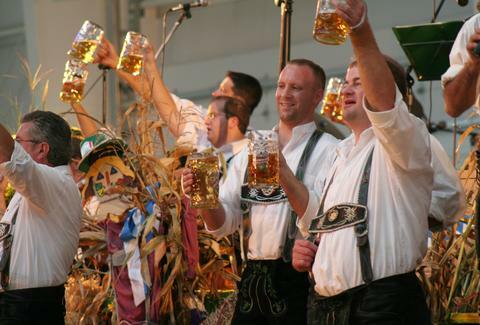 Enjoy authentic dancers, German beer and wine, and traditional food like spaetzle and schweinebraten. 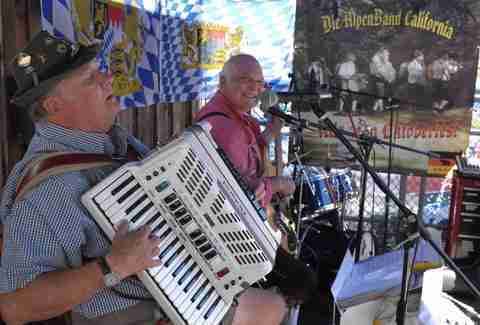 Oktoberfest Corte Madera The fun starts at noon and ends at 5pm. You could do general admission for $10 or you could pay $25, which gets you tastings and a commemorative mug. 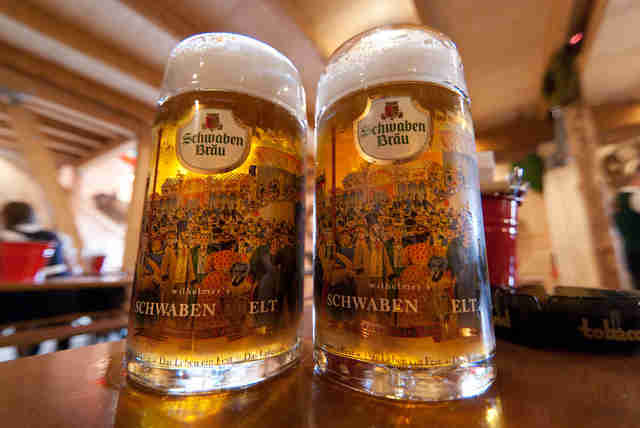 There will also be live music and food because what’s Oktoberfest without both of those? 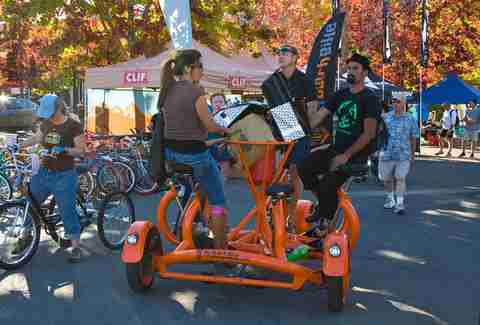 Oktoberfest Corte Madera Old Corte Madera Square, Marin The fun starts at noon and ends at 5pm. You could do general admission for $10 or you could pay $25, which gets you tastings and a commemorative mug. There will also be live music and food because what’s Oktoberfest without both of those? Novato Oktoberfest Yeah it’s at a church, but that doesn’t mean there won’t be a full dinner and plenty of beer. Plus dance lessons so you’ll never be embarrassed to do the polka again! Novato Oktoberfest Greek Orthodox Church, Novato Yeah it’s at a church, but that doesn’t mean there won’t be a full dinner and plenty of beer. Plus dance lessons so you’ll never be embarrassed to do the polka again! Fairfax Biketoberfest Why just celebrate beer when you can also celebrate every type of bike from mountain to BMX to, yes, even fixies. Plus, there will be more than 35 beers from 20 West Coast brewers and live music. Also: free valet bike parking in case that wasn’t obvious. Fairfax Biketoberfest FairAnselm Plaza, Fairfax Why just celebrate beer when you can also celebrate every type of bike from mountain to BMX to, yes, even fixies. Plus, there will be more than 35 beers from 20 West Coast brewers and live music. Also: free valet bike parking in case that wasn’t obvious. Oktoberfest with Pyramid Live music from The Up and Down, a bratwurst-eating competition, and a chance to majorly embarrass yourself during the stein-holding contest! $15 for a stein that comes with one fill up. Starts at 4pm and doesn’t end until 11! Oktoberfest with Pyramid Pyramid Alehouse, Walnut Creek Live music from The Up and Down, a bratwurst-eating competition, and a chance to majorly embarrass yourself during the stein-holding contest! $15 for a stein that comes with one fill up. Starts at 4pm and doesn’t end until 11! Walnut Creek Oktoberfest From 10am until 5pm, feast on German food, check out the micro brew sampling area, and enjoy live music on a few stages. Walnut Creek Oktoberfest Locust St between Civic Dr and Cypress St; Bonanza St between N. California and Commercial Ln, Walnut Creek From 10am until 5pm, feast on German food, check out the micro brew sampling area, and enjoy live music on a few stages.